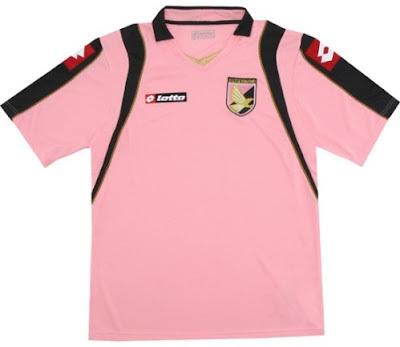 Italy's Palermo and occasionally Juventus are well known for wearing pink shirts*. 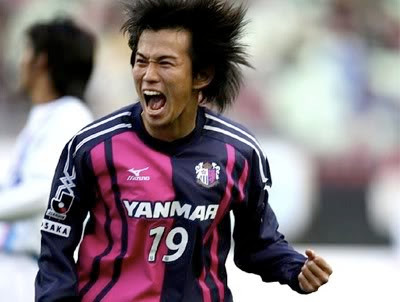 In recent years, many clubs have worn pink for special games or occasions, often in support of Breast Cancer. Here are the clubs I came up with. There are probably a few more (especially in Italy), so feel free to let me know and I'll add more pink shirts to the list. 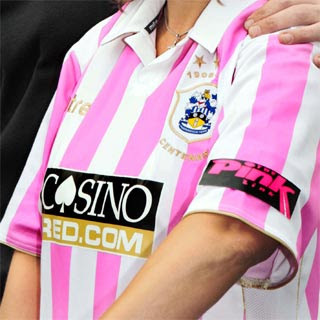 *Juventus started out with pink, but switched to the Black and White stripes (a copy of England's Nott's County, where the shirts were shipped from) after realizing the pink shirts got bleached after washing and the colors faded. 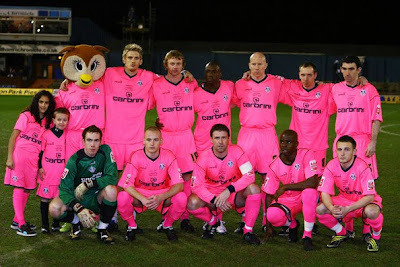 They've had pink shirts on and off since then. 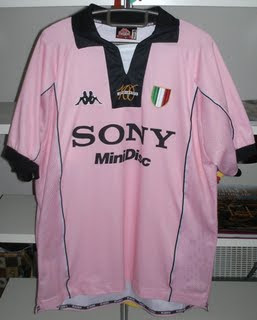 Yeah i love that Juve's pink shirt and had one recent years. Had Patrick Thislte and I really love the color mixture. 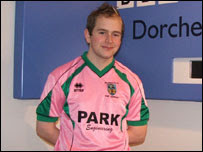 I was going to write a story about pink shirts on my blog today and luckily I found your info. I used some of the pics without your permission. Hope it is ok.
You can also go to my blog and see more info about pink shirts. You are free to take these information from my blog. Hands down best pinks ever has to be Palermo. 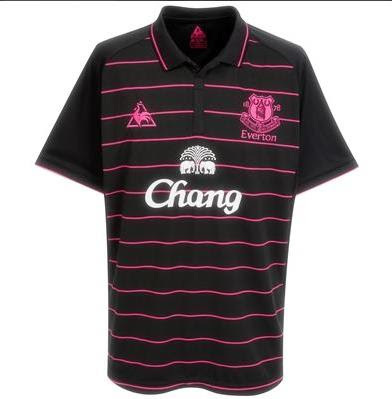 Their blacks with pink trim is favorite of theirs. 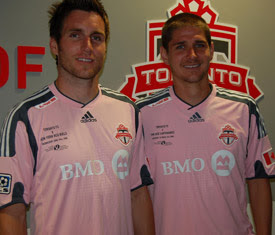 teams in North America (aside from TFC) are afraid to use the color other than in conjunction with Breast Cancer awareness. I think if a team used it properly though it could be a phenominal marketing tool. 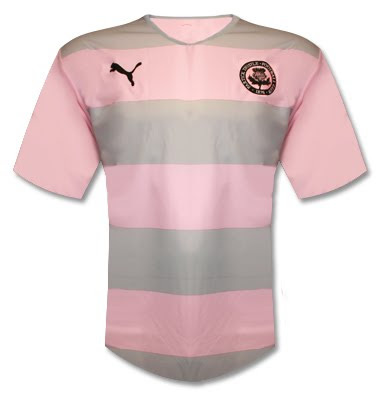 How many women actiually buy those stupid mock NFL jerseys in pink when their team never wears them. Imagine if a team really embraced the look. Really, pink? Men? My team is girls under 12 and were pink and all the girls hate it!!!!!! No mention of Dulwich Hamlet?! girls under 12 and were pink and all the girls hate it!!!!!! Sport Boys Association (SBA) in Callao, Peru..main port in Peru.